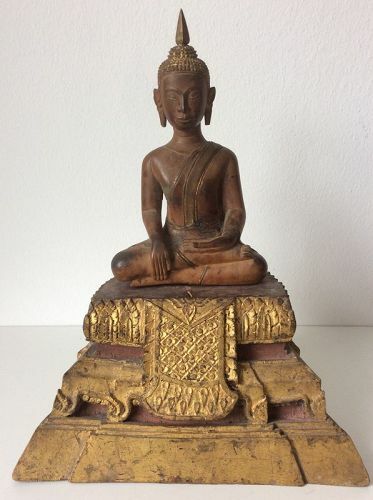 Seated in bhumisparsa mudra, on a gilded hardwood pedestal. H. 30 cm. Very good condition with expectec age wear and a very nice patina.